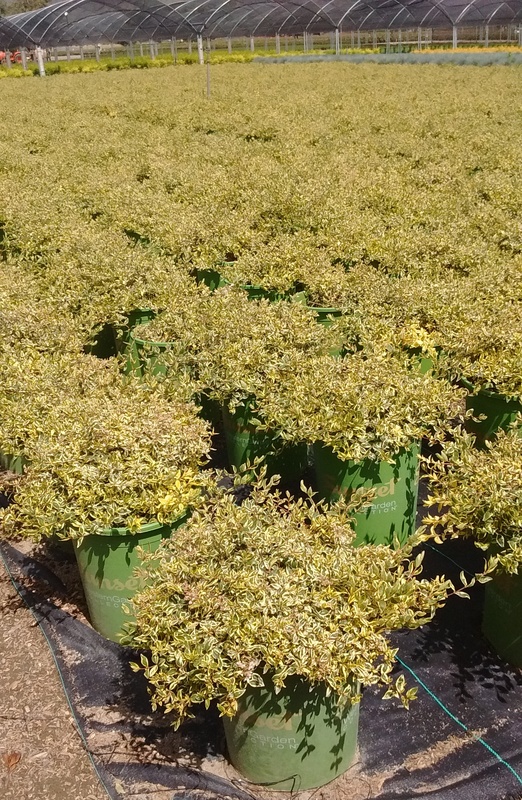 Abelia Miss Lemon™ adds a twist of of bright citrus green and yellow color to the landscape. In early spring, glossy leaves emerge edged in bright yellow with a deep green center; then mature to an ivory and green color combination by fall. Expect an abundance of light pink flowers summer through fall that attract both butterflies and hummingbirds. Because of its compact size, with plants maxing out at just 3’ tall and 4’ wide, Abelia ‘Miss Lemon’ works well in a variety of landscape locations including border, container and accent plantings. Plant Abelia ‘Miss Lemon’ in full sun for best performance, although it will tolerate some afternoon shade. Plants have good resistance to drought, insects, disease and even deer. Abelia ‘Miss Lemon’ will thrive in a variety of soil types as long as drainage is sufficient.Though it doesn’t need to be pruned, a light trim in late winter just before new growth emerges, keeps this beautiful plant tidy and neat. Colorful, compact and low maintenance, Abelia ‘Miss Lemon’ is well suited for smaller, urban landscapes as a focal point and in containers, or in larger landscapes en masse.